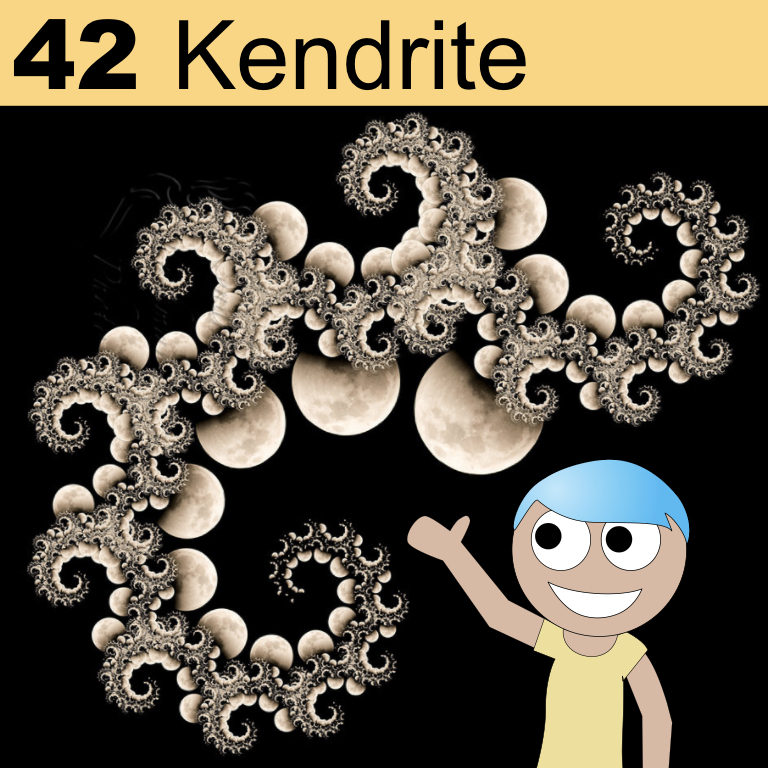 Kendrite is named in honor of a patron with some pretty cool math and art skills. We’re keeping her true identity on the down low, but she answered a few questions about how she got into math, and how she made the awesome fractal graphic that forms the background of her card. Q: How did you get into teaching math? Have you always enjoyed math? I got into teaching math somewhat by accident. I initially didn’t like the idea of teaching, back when my goal was to be a research mathematician. When I was in graduate school, I did some side work for a discovery-based textbook company, and then I got a job there later. That exposed me to some fantastic ex-teachers, as well as student-centered pedagogy. After working there for a few years, with all of my exposure to wonderful pedagogy and amazing teachers, I started to crave teaching. I got laid off when the company downsized with the recession, and my unemployment gave me time to apply and get a teaching job. I think I was terrible at it for the first few years, and I still have a ton of growing to do, but I think I’m a better teacher every year. Finding community, especially through Twitter and Desmos, has really transformed me as a teacher. I’ve had somewhat of a tumultuous relationship with math. I think I was good at it when I was young, in the sense that I easily saw the patterns and was able to follow the rules, but I really didn’t have any tools for deeply understanding structures, and I had very little practice in getting through big struggles. This became painfully apparent when I went to a prestigious grad school and didn’t have a community I trusted or enough grit to get through on my own. I broke up with math in graduate school (seriously, wrote it a break-up letter and everything). It was a pretty bitter break up. My job with the textbook company unexpectedly reconnected me with my love for math and learning, as well as a very nice community of educators. Q: I love the fractal pictures you made. How did you go about making them? It was a lot of back and forth between Photoshop and The Geometer’s Sketchpad v.5, and much of the fractal work was also done during my unemployment. I started with a photo in Sketchpad, then iterated it into a fractal, exported and brought it into Photoshop, then created masks in Photoshop and iterated those in Sketchpad, and brought a fractal of masks into Photoshop, and back and forth. I don’t even remember the process anymore, but I do remember that there was a lot of waiting for large files to export. Q: Did the finished products ever surprise you by turning out very differently from what you initially expected? Oh, sure. Like the one you chose, I don’t think I knew that the part of the moon that was shadowed was going to fit so nicely into the curve of the fractal. One of my early ones was with a photo of my niece, and by chance the way that her hair fell just happened to flow from one iteration to the next in the fractal. I wish I could say that I did everything with intention, but a lot of it was just playing until I found something that delighted me. Q: If you could have lunch with any scientist, living or dead, who would you want to meet, and why? Oh geez, that’s an impossible question. Lunch isn’t enough time! I think I envy anyone who has had long-lasting friendships with many different famous scientists, but I couldn’t choose just one. I spent a lot of time looking up famous scientists and seeing if any of them sparked any feelings, and I kept coming back to my teen-aged nephew who really wants to be a paleontologist, but I think he thinks he should choose some other career. So I think I’d choose to have lunch with future-him, to see if he can give me insight into what’s going to encourage present-him to follow his own path (even if that path is not paleontology, but something that he eventually is happy with). It is an impossible question, but I love your answer! Welcome to the table, once again. 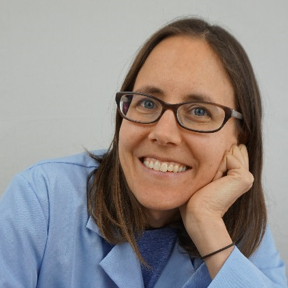 And thank you so much for being a patron of Science Mom.